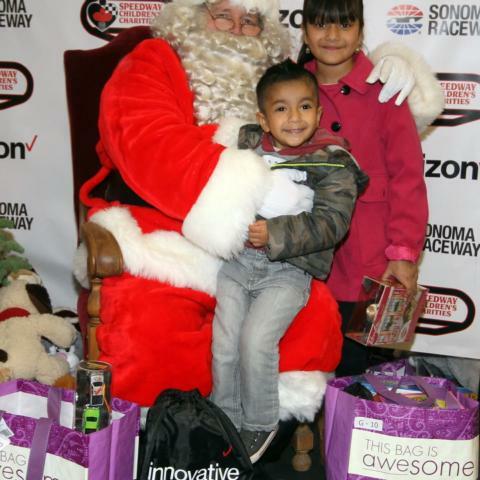 SONOMA, Calif. (Nov. 19, 2019) — For the 16th consecutive year, race fans and community members can help brighten the holidays for Sonoma Valley kids by donating toys to Sonoma Raceway's High-Powered Toy Drive. All toys collected during the toy drive, which runs through Wednesday, Dec. 5, will be distributed to more than 300 children at the raceway's annual Race to the Holidays Christmas Party on Saturday, Dec. 8. All children are pre-registered for the party through one of six Sonoma Valley non-profit youth organizations. New, unwrapped gifts for newborns to 12 year olds are needed. "I have been in the past with my two children and older stepdaughters, and I can't tell you how much they enjoyed it and were so happy to be a part of this special event," said one Sonoma mother, Melissa. "After losing my job in the fires and then losing my apartment due to the job, I am currently now getting back on my feet. It has been a struggle getting everything back together, and this party is able to take us away and enjoy the day together, while also helping me out during the holidays." Sonoma Raceway, 29355 Arnold Dr., Sonoma, 800-870-RACE, SonomaRaceway.com, Mon.-Fri., 8:30 a.m.-5 p.m.
Exchange Bank, 435 West Napa Street, 707-938-8358, Mon.-Fri., 9-5, exchangebank.com. Schell-Vista Fire Department, 23000 Broadway, 707-938-2633, 9 a.m.-5 p.m.
Sonoma Valley Fire Department, 630 Second Street West, 707-996-2102, 9 a.m.-5 p.m.
Gundlach-Bundschu Winery will again support the toy drive at its Bacchus Holiday Bazaar on Saturday, Dec. 1, from 11 a.m.-4:30 p.m. Attendees can sip, shop and get cozy by a fire at this special holiday event in the Vista Courtyard. And guests will also have the opportunity to contribute new, unwrapped toys at the Bacchus Bazaar. For more information, visit www.gunbun.com/events/. 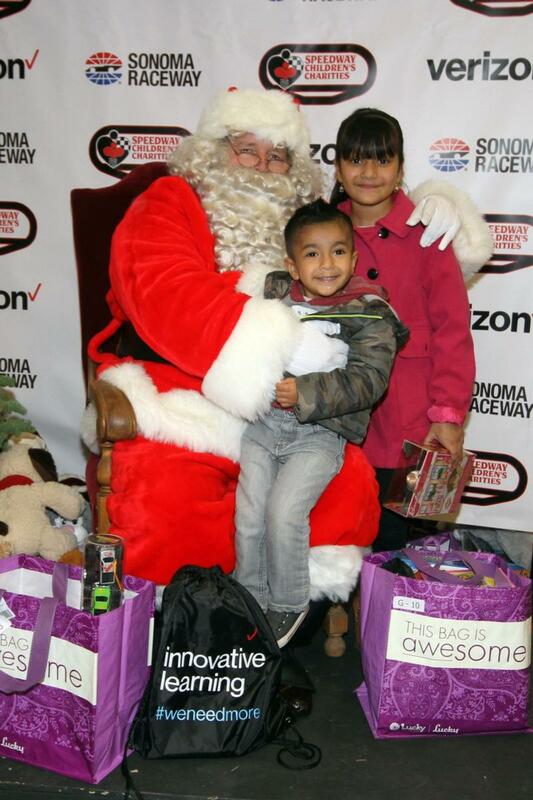 For more information on the Race to the Holidays Children's Christmas Party or High-Powered Toy Drive, please contact Cheri Plattner at 707-933-3950 or cplattner@sonomaraceway.com.